specializing as a trial lawyer. 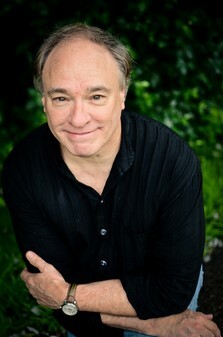 International Law and served as a US diplomat in Hong Kong. Minnesota, with his wife Cathy, and children Ian and Libby. Erin Larson is running out of options. In the wake of her father's death, she found a slim piece of paper--a deposit slip--with an unbelievable amount on it. Only the bank claims they have no record of the money, and trying to hire a lawyer has brought only intimidation and threats. Erin's last chance is Jared Neaton. How Far Will One Lawyer Go to Find the Money? When Jared wearied of the shady ethics of his big law firm and started his own, he never expected the wheels to fly off so quickly. One big loss has pushed him to the brink, and it's all he can do to scrape by. And How Far Will Someone Go to Stop Him? He's not sure if Erin's case is worth the risk, but if the money is real, all his problems could vanish. When digging deeper unleashes something far more dangerous than just threats, both Jared and Erin must decide the cost they're willing to pay to discover the truth. 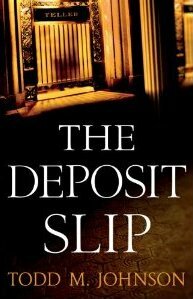 If you would like to read the first chapter of The Deposit Slip, go HERE. Nothing to Hide, a superb novel!